We now have Klima-Cleaner Pro in our car care catalog again. Klima-Cleaner is an air conditioner cleaner that provides a fast and easy way to eliminate odor causing contaminants from the air conditioning system. 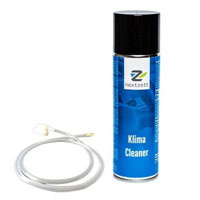 Klima-Cleaner was previously discontinued and was a hot commodity that flew off the shelf. Try out this item and more before they run out!